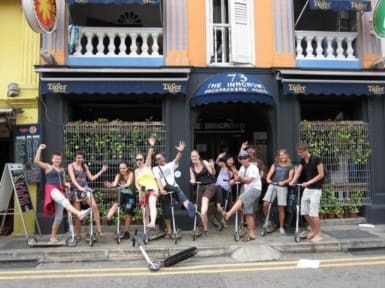 The InnCrowd Backpackers Hostel 2 kohteessa Singapore, Singapore: Varaa nyt! This hostel and its facilities are very tired and need a massive face lift. It's dark and uninviting, the floor is chipping away and there is NO functioning aircon in the room even though they say there is (at least not in the room we stayed in). Instead there is a massive industrial fan that is the loudest fan I've ever come across with. So you either sweat at night or don't sleep at all because of the noise. The staff members we met were jaded and not really making an effort.